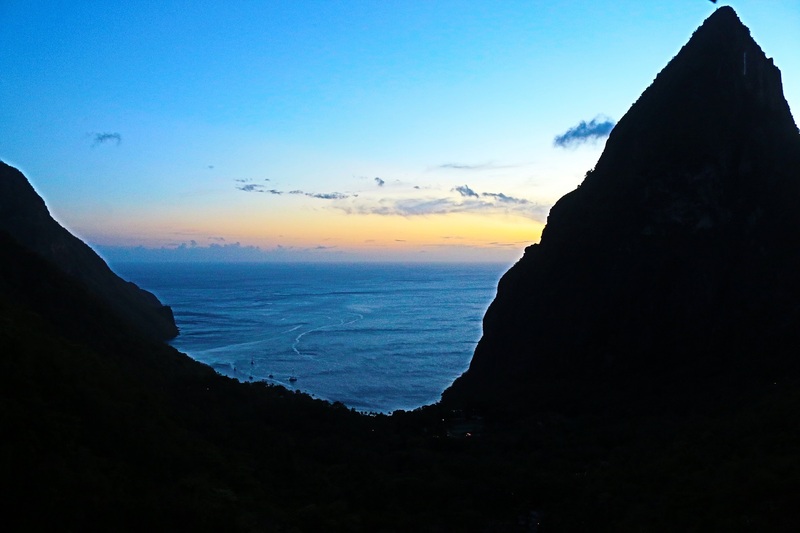 The Ladera Resort, St Lucia is set on a UNESCO world heritage site on Soufriere Volcano. It boasts a unique concept, with each private suite having just three walls. There is no wall on the outer side of the rooms, leaving you at one with nature. Merely with nets around the four poster bed it’s an experience like no other. With plunge pools in each suite overlooking the Caribbean Sea and panoramic views of the iconic Pitons of St Lucia. It really is a phenomenal place to stay. Being at one with nature is perhaps not a good idea if you’re a bit of screamer. However, in theory it sounds absolutely amazing. The thought of geckos and birds flying in freely in the room was the deciding factor for us not to stay here. It’s not for the faint hearted, but for those not afraid of the great outdoors it really would be spectacular. Imagine lying in a bed looking out into the wilderness of the rainforest and the immense Caribbean Sea, watching sunsets. We almost wish we could desensitise to just have this experience. Instead we visited the Ladera Resort for dinner, at the Dasheene Restaurant. As the light breeze blows from the Caribbean Sea, the views are actually breath-taking. Being there for sunset is probably the nicest time to visit. 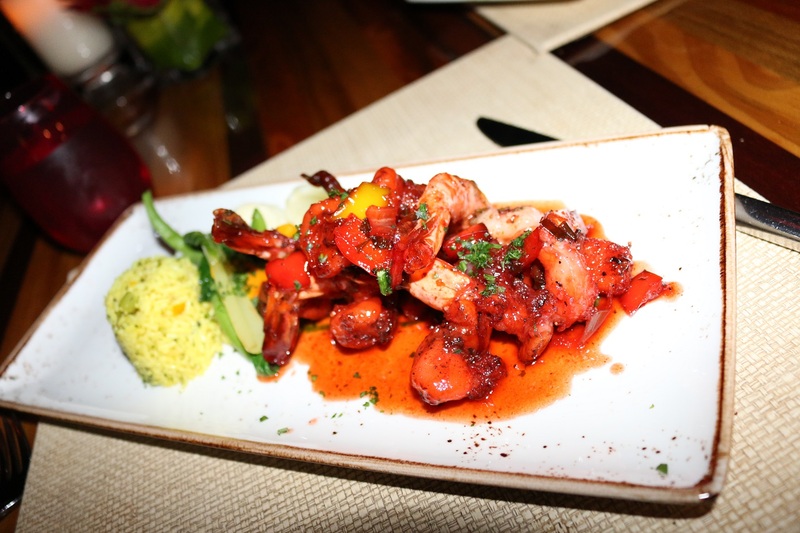 The food has refined, Caribbean classics. 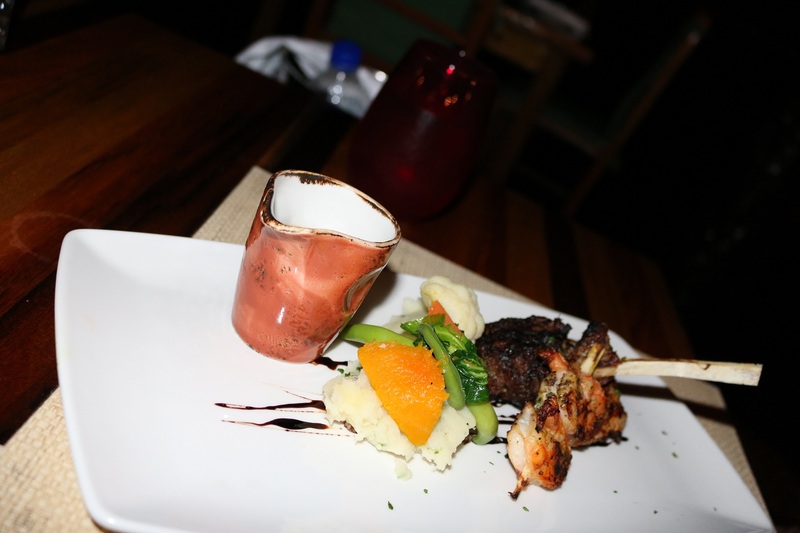 The conch salad was refreshing, and mains of trio of skewers were tender and charred. The prawns were sweet yet savoury. The dishes were good and service relaxed. The band in the bar really created a buzz and a lively vibe. 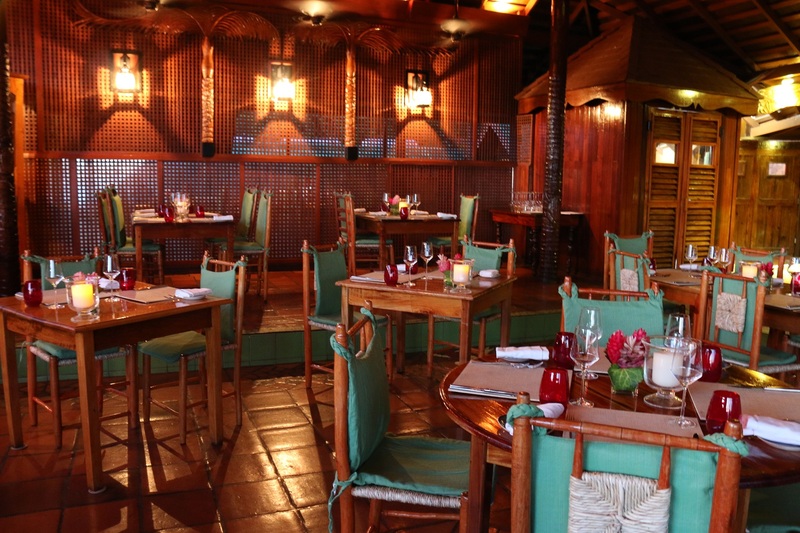 The restaurant is staggered over different floors amidst the rainforest and is rather special for any celebration. 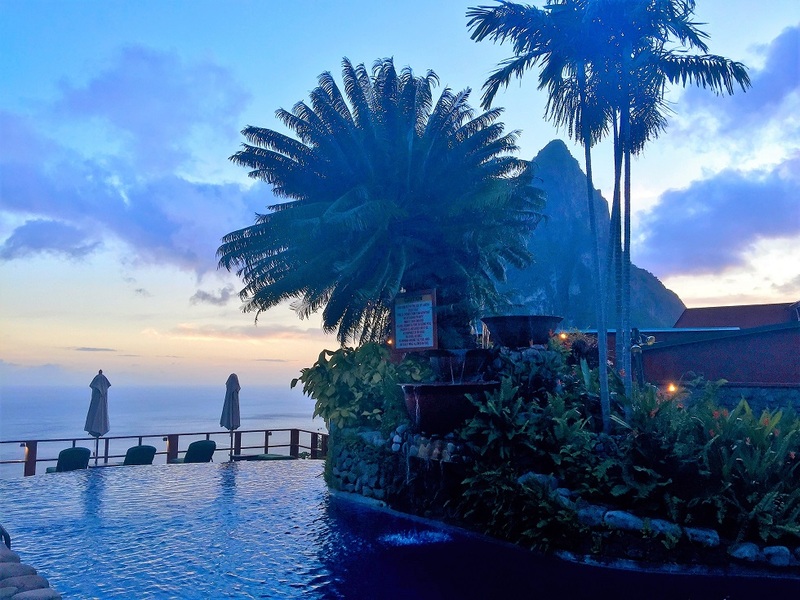 The Ladera has unprecedented views over the Pitons and the seafront, and would be the perfect wedding venue for a Caribbean destination wedding. 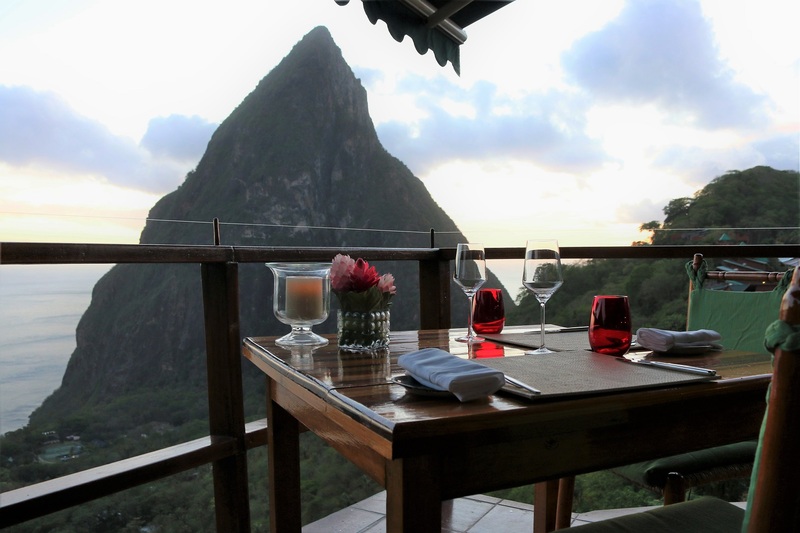 Dasheene Restaurant, Ladera Resort, Soufriere, St Lucia.